The Greek Islands of the Ionian and Aegean Seas have been the playgound of the Gods and mortals since time immemorial, and they have been the subject of art, literature, poetry, music, and travel throughout the ages. 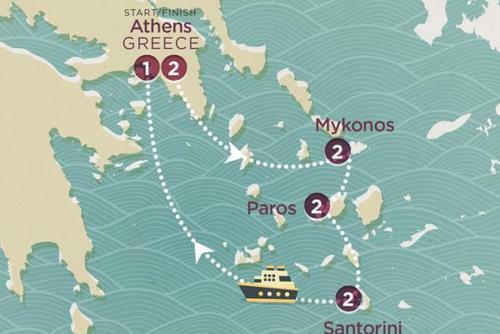 So which islands should you include in an island hopping adventure? There are over 6,000 islands and islets, but only 227 of these are inhabited. Whichever island you choose, you can be guaranteed that almost all of them have beautiful beaches, interesting flora and (in some places) fauna, ancient monuments and archaelogical sites, delicious local cuisines, exciting nightlife (in some places), and friendly people. If you are keen to plan a trip to Greece, here are a few of the islands that you should definitely visit: Santorini, Delos, Mykonos, Crete, Corfu, Zakynthos, Kefalonia, and Ithaca. 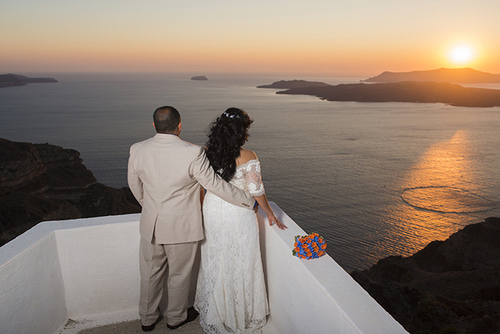 The romantic Agean island of Santorini, which is in the Cyclades group of islands, is the remnant of a volcanic caldera: legend has it that it is the source of Atlantis. The Minoan volcanic erruption that occurred around 1613 BC on Thera (the classical name of Santorini) is also said to have caused the destruction of the Minoan Civilization on the island of Crete. In this magical environment you can enjoy the glorious sunsets at Fira, Firostefani, Imerovigli, Profitis Ilias (Pyrgos), and Vlihada beach while sampling the delicious Mediterranean cuisine at a local taverna. Spend a few nights in a cave house and have a meal served to you on the edge of a caldera – a once in a lifetime experience. Be sure to visit the 17th century BC Minoan Bronze Age settlement of Akrotiri and stroll around the streets of the ancient town for an authentic experience. 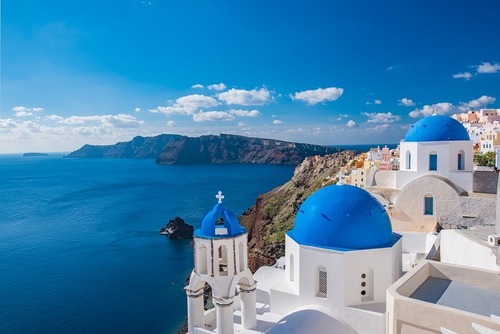 Santorini gets very busy in summer, but check out our tips to avoid the tourist crowds in Greece and be sure to book ahead to get the best deals. There are some amazing luxury cliffside hotels with infinity pools here but also budget accommodation more inland. 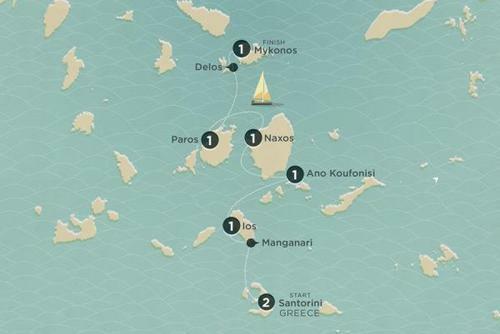 From Santorini, you can easily visit the other islands in the Cyclades group: the archaeological site on the island of Delos, which is near the island of Mykonos, should be visited by all aficianados of acient Greece. 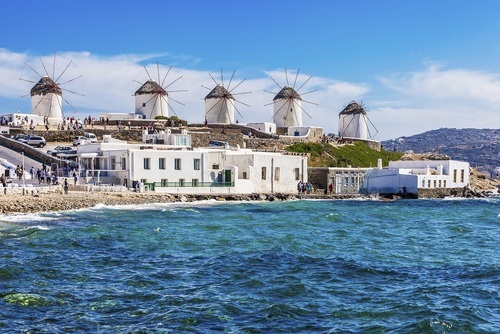 There are so many reasons you will love Mykonos, this island has everything and is a great place to spot celebrities. 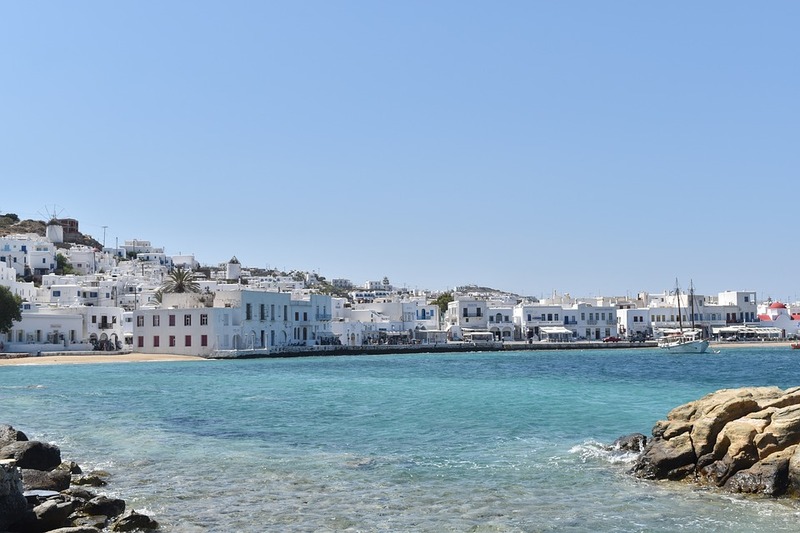 If you are looking for nightlife, Mykonos is the place for you: this island is especially popular with jet setters, playboys, and rich Greeks; the nightlife goes on until dawn. 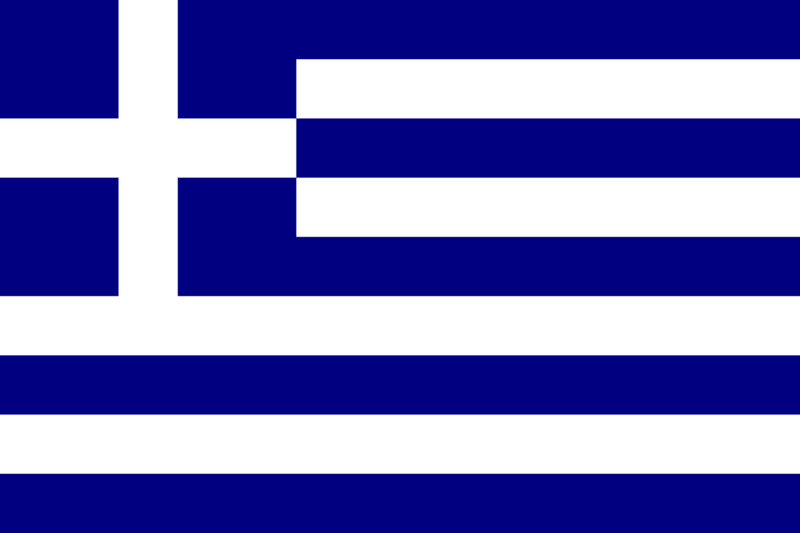 Crete is located in the centre of the eastern Mediterranean and apart from being the largest of the Greek islands, it has the double distinction of being the centre of the earliest recorded civilization in Europe – the Minoan civilization (circa 2700 –1420 BC), and it was one of the largest ancient naval powers to have ever existed. The traveller will definitely be spoilt for choice, but one should definitely visit Knossos and the Samariá Gorge. Knossos is the biggest Bronze Age archaeological site, and it has the distinction of being Europe's oldest city: walk around the city and experience history first-hand. If you are keen on trekking and a lover of nature, the Samariá Gorge national park (in SW Crete) is a must; it has been designated as a World Biosphere Reserve under UNESCO's Man and the Biosphere (MAB) Programme. The trek through the Samaria national park is about 16 km long: it commences in the north at a height of 1,250m and terminates on the shores of the Libyan Sea in Agia Roumeli. At its most famous part, ‘the Iron Gates’, the gorge narrows to a width of only four metres while the sides of the Gorge soar to about 300 metres. If you are still hungry for nature – try the Dikteon Cave, which is located near the the village of Psyhro: legend has it that Rhea gave birth to Zeus in the Dikteon cave so that he wouldn’t be devoured by his father, Cronos. Incidentally, the legends of ‘Theseus and the Minotaur’, and ‘Daedalus and Icarus’ are Cretan legends. A visit to the old part of Hania (the capital) is well worthwhile: especially if you are into architecture. The town boasts a selection of architectural styles: Greek, Venetian, and Ottoman. Finally, don’t forget to visit Rethymno’s historic harbour (which is packed with great fish tavernas and cafés) and Preveli Beach on the south coast of the island, which is one of the most beautiful Cretan beaches: while you are there, don’t forget to visit the historic Preveli Monastery, too. 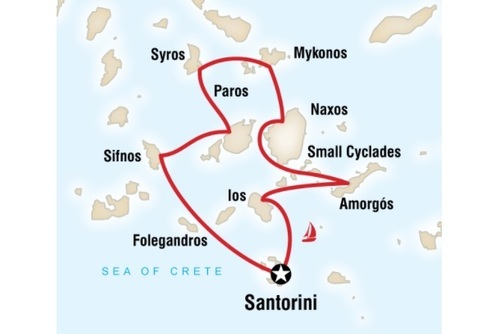 From Crete we can jump on a boat to Rhodes: the largest island in the Dodecanese group of islands. Rhodes is rich in history, and for the history buff – this is really an island that should not be missed, and the medieval city of Rhodes, which is a UNESCO world heritage centre, is definitely something that should be visited: it has the distinction of being the oldest inhabited medieval town in Europe, and within its walls can be found the ruins of the 3rd century B.C. Temple of Venus. Walk around the 200 or so nameless streets and lanes: they literally have no street names. 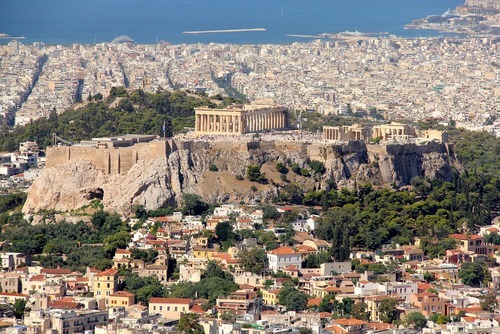 Three other interesting places to visit are ancient Kamiros, Ialysos, and Lindos. 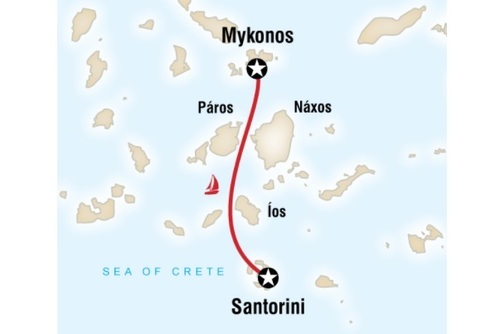 Ancient Kamiros lies on the NW shore of the island and is the island’s third ancient city. 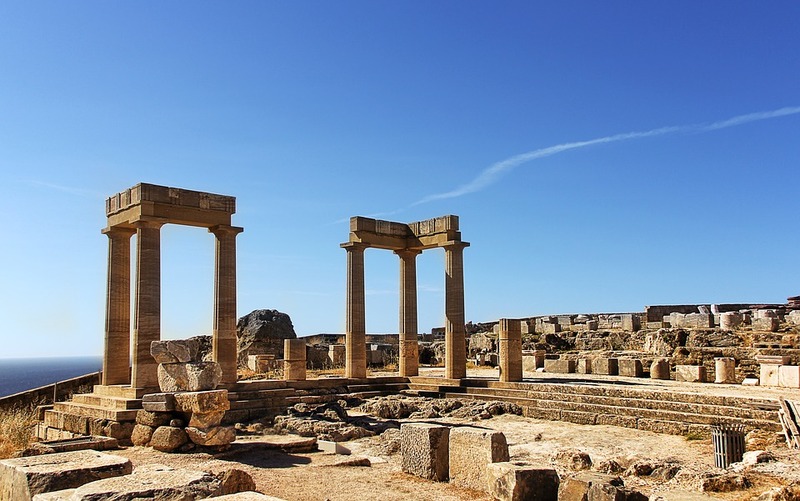 In the 5th century B.C., it joined with Ialyssos and Lindos (see Lindos and its Acropolis) to form the powerful city-state of Rhodes. Before leaving Rhodes, you should also visit the Valley of butterflies for a once in a lifetime experience: in August, thousands of butterflies flood the valley in order to reproduce; it’s an amazing sight. From Rhodes, it is easy to visit the rest of the Dodecanese islands. 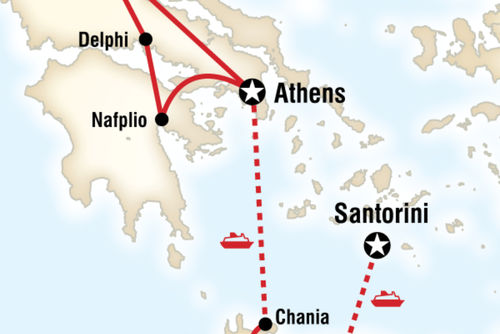 Your final port of call is – the Ionian Islands in the Ionian Sea. The Dodecanese, located in the southeastern Aegean Sea, is a group of Greek islands known for medieval castles, Byzantine churches, stunning beaches and ancient archaeological sites. This group of seven islands exemplifies everything mentioned previously in the second paragraph. In particular, the islands of Corfu, Zakynthos, Kefalonia, and Ithaca (the island of Odysseus) are well worth visiting, and what is more – they are close to each other, so island hopping won’t be a problem. 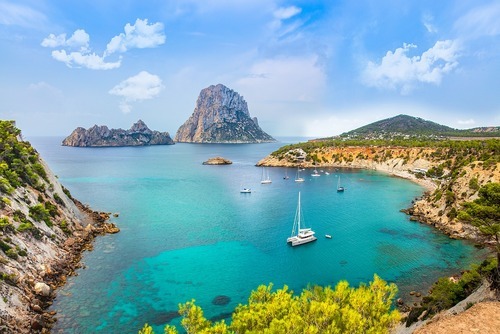 All the islands on our list can all be visited easily in the course of a fortnight’s holiday but if you have a shorter duration that is also possible although slightly rushed. 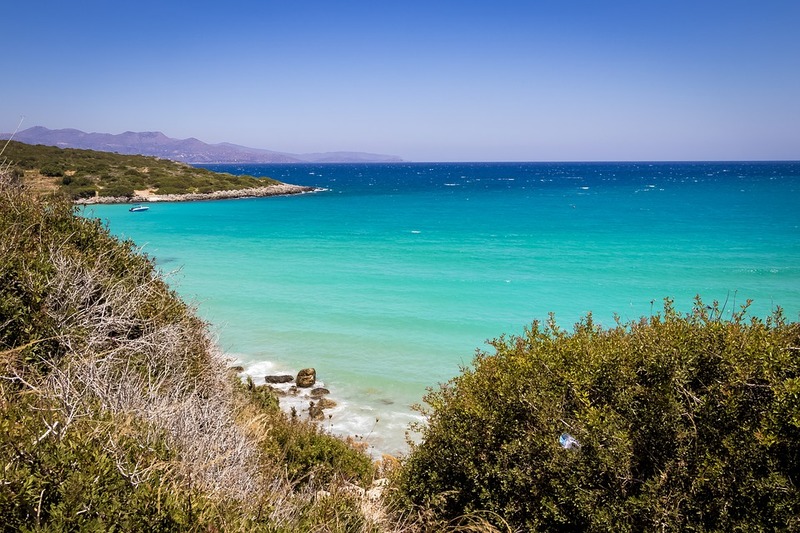 This is a fantastic Greek islands 3 week itinerary where you can be guaranteed that you will enjoy an extremely pleasurable experience. 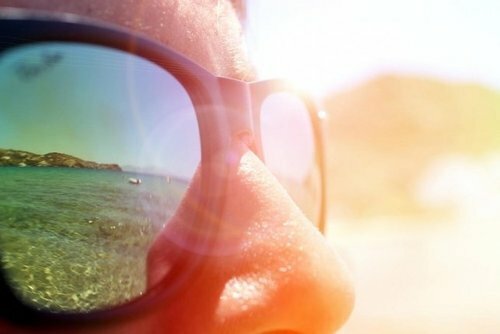 If you are keen to spend a little longer in the country search jobs in Greece or for something rewarding check out some incredible volunteer programs in Greece. If you have been to an amazing island we have missed off our list let us know in the comments section below.